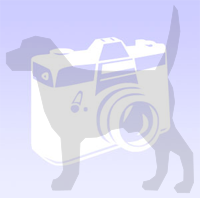 We are a small kennel and we would like to pursue a determined and firm breedingprogram from the very beginning. We only use dogs that are breed typical specimens of the breed, mentally stable and healthy in our breeding program. We spend a lot of time and money finding good combinations, in both here in Norwy and abroad to strengthen our breeding strategy. Both Mette and Marius takes regular courses for filling, inspiration, knowledge and experience! Both within the different sports, but also in mentality, genetics and breeding. Knowledge and generally good understanding in this area is crucial for us to make a serious and carefully considered work with breeding our dogs. Mental health is very important to us. The word "mentality" derives from Latin, and has to do with mind, soul, and psyche. It is difficult to distinguish the genetic and environmental causes of "psyche ". When we explain an individual's property, inclinations or manners, we must pay attention to at least three factors: inheritance (genetics), environment and experiences through life. Knowledge about the dogs mantality and how to read a dogs is very important to us and to our breeding program. It gives us a good indication on which animals that should be part of the breeding program, and which ones that should not. As breeders we we find it important that the puppies that come from us gets a rich and eventful life, where the focus is that the dog is first and foremost a family member, but also a working dog.I We are not concerned about what you choose to use the dog, but that it is being used to something like tracking, obedience, agility, rally obedience, IPO, etc. We make no claims about the dog being entered at dog shows, but will greatly appreciate it if the buyer wants to enter the dog in a dog show if there is a dog show near by where you live.